Three decades as an automotive journalist, author, broadcaster and photographer, and automotive consultant has introduced me to the greatest car enthusiasts on earth which now includes you. It’s been my passion to make automotive journalism, road testing, history, motorsport, racing, photography, restoring cars and concours judging my personal and professional life. My goal is to share this site with you. There’s no Facebook, Twitter, or Liking required, and you can’t spend any money here. Please check out my blog, share this site with your friends if you feel inclined to do so, and thanks much for stopping by. The late Margie and Robert E. Petersen were epic people. Mr. Petersen was the founder of HOT ROD magazine, and did a lot to support the birth and growth of the hot rodding phenom in the late 1940s, 50s and 60s. With that came Petersen Publishing Company, and fleet of popular enthusiast titles. The Petersens over time also built two significant car museums. Born of humble beginnings, they were highly successful, yet very philanthropic. 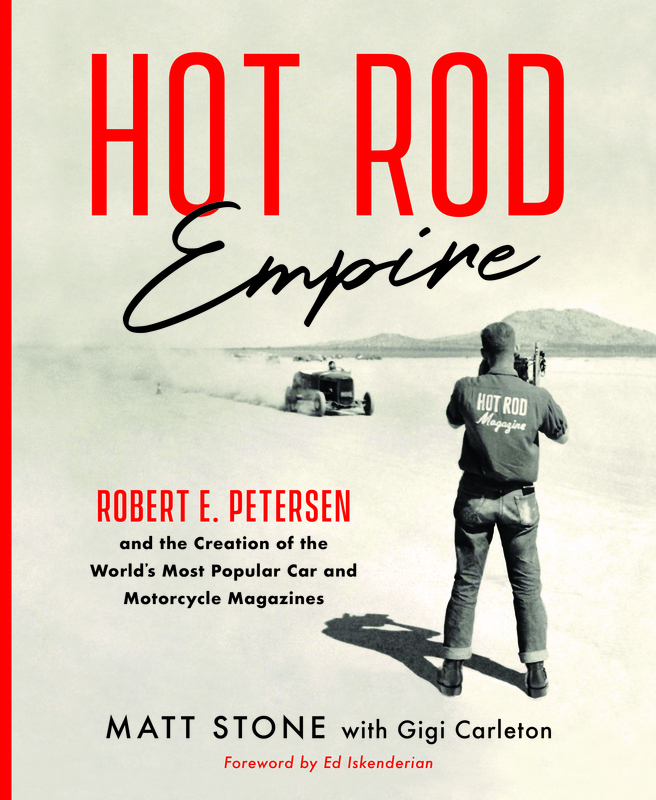 I’m honored to announce my newest book, entitled HOT ROD Empire, chronicling Mr. and Mrs. P’s early days, the founding of Petersen Publishing Company, their car collection, their later days, and both car museums. Available now from Amazon.com, publisher direct at motorbooks.com, or from Autobooks book store in Burbank, California. If you’ve visited this site for any amount of time, you know that this show, and this charity (Boys Republic School in Chino Hills, California), are very important to me. And this is a great fun weekend of events, and a super friendly and accessible car and bikes show at a wonderfully historic property. This year’s dedicate Steve McQueen film is 1974’s disaster epic The Towering Inferno and the weekend includes movie screenings, a banquet dinner, and the show itself on Saturday June 1, 2019. I will be there and hope to meet you there too. Entrants still welcome, run what ya brung, dp brung the family and have a great day in memory of an amazing Hollywood car guy hero, all for a great cause. Get the rest at SteveMcQueenCar Show.com. 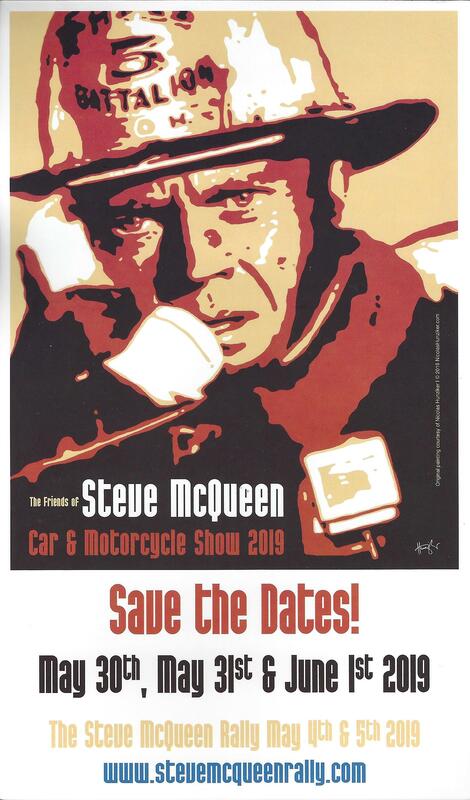 And if you fancy driving events, maybe check out the SteveMcQueenRally.com event on May 4/5.